← What Types of Exercise Might Your Senior Enjoy? November is National Diabetes Awareness Month. A very common issue, this disease can make a dramatic impact on your parent’s health, functioning, and quality of life. By better understanding this condition, you can make decisions about your parent’s care to help them cope, and manage their symptoms effectively. 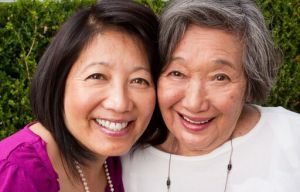 As a family caregiver, it is important to understand not just what it might be like for your parent to live with diabetes, but also the risk they are facing, and what you might be able to do to help reduce that risk. This can help your parent stay healthier throughout their later years. * More than 30 million people throughout the United States are currently living with diabetes. * More than 23 million of those living with diabetes have been diagnosed. * Experts estimate that just over 7 million people in the United States are living with diabetes, but do not know they have it, and have not been diagnosed. * Approximately 12 million older adults in the United States are currently living with diabetes. * This number accounts for more than 25 percent of the total population of older adults in the country. * More than 1.5 million new cases of diabetes are diagnosed each year. * Diabetes is the 7th leading cause of death in the United States. * Nearly 80,000 deaths each year have diabete listed as an underlying cause. * American Indians and Alaska Natives have the highest percentage of the disease by ethnicity, with more than 15 percent of the population of this ethnicity suffering the disease. * Whites have the lowest percentage of the disease by ethnicity, with just over 7 percent of the population of this ethnicity suffering the disease. * Diabetes can contribute to a variety of serious health issues, including cardiovascular disease and stroke. If your aging parent has recently been diagnosed with diabetes, now may be a great time for you to consider elder care for them. The customized services of an in-home elder care services provider can make a tremendous difference for your elder as they work toward managing their symptoms, improving their health, and maintaining their quality of life. When it comes to dealing with diabetes, these services can benefit your parent in a variety of ways. This elder care provider can help your parent understand their dietary guidelines, select foods that are healthy for them, assist with meal preparation, and encourage your parent to stay physically active. They can also provide medication reminders to help your parent stay compliant with any prescriptions given by their doctor. For Elder Care Services in Germantown TN, please contact the caring staff at Personal Care Services MidSouth today! This entry was posted in Elder Care Germantown TN, Health Care Celebrations and tagged Elder Care Germantown TN. Bookmark the permalink.